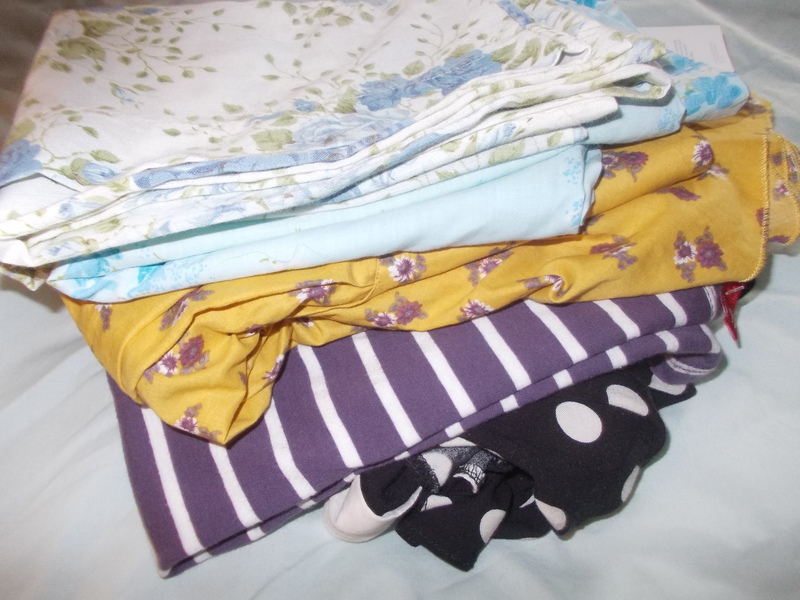 I’ve mentioned before about how useful charity shops are for sourcing fabric and cheap clothing. 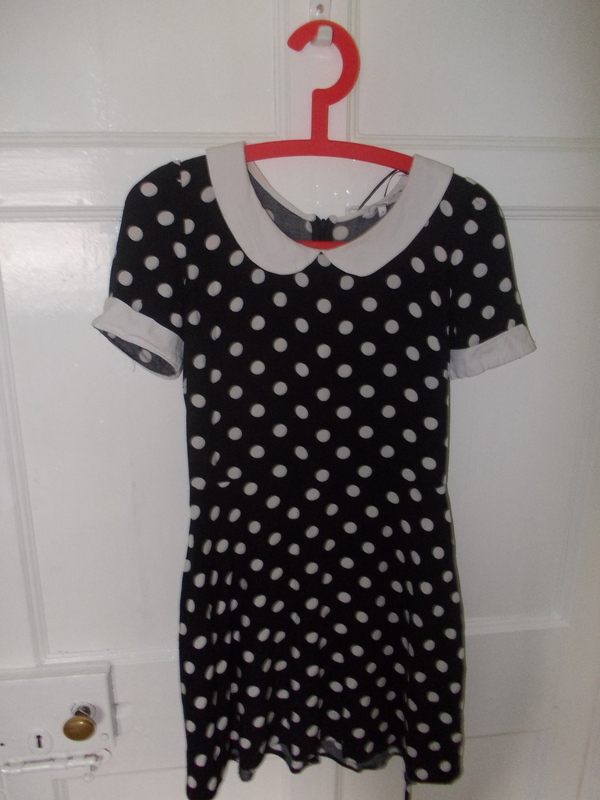 Today I went on a fashion binge in one of my local shops. I hadn’t been for ages, so it was a nice treat for my meagre budget and I ended up buying quite a lot for a small amount of money. 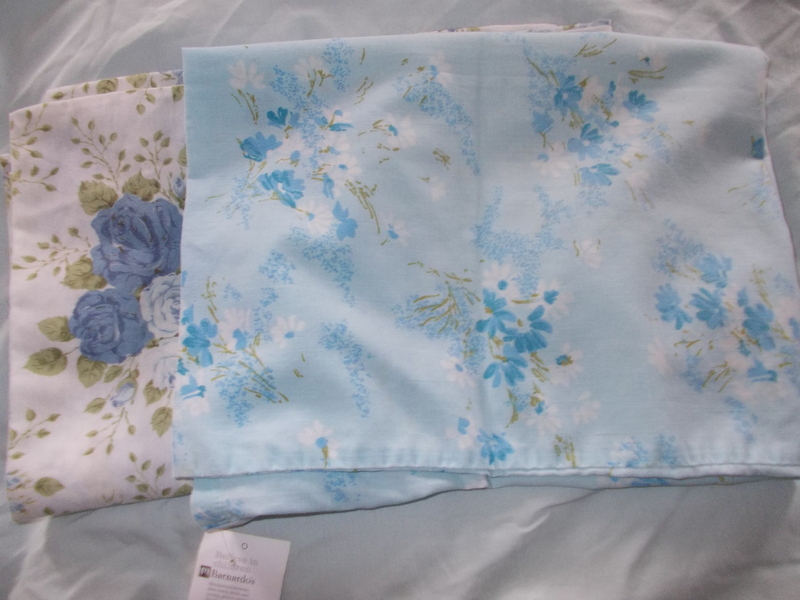 Firstly, I bought two vintage floral pillowcases, in different patterns. Together, these were only £1 and I’m planning to make elastic skirts out of them. Once I’ve made one, I’ll put the DIY on the blog. 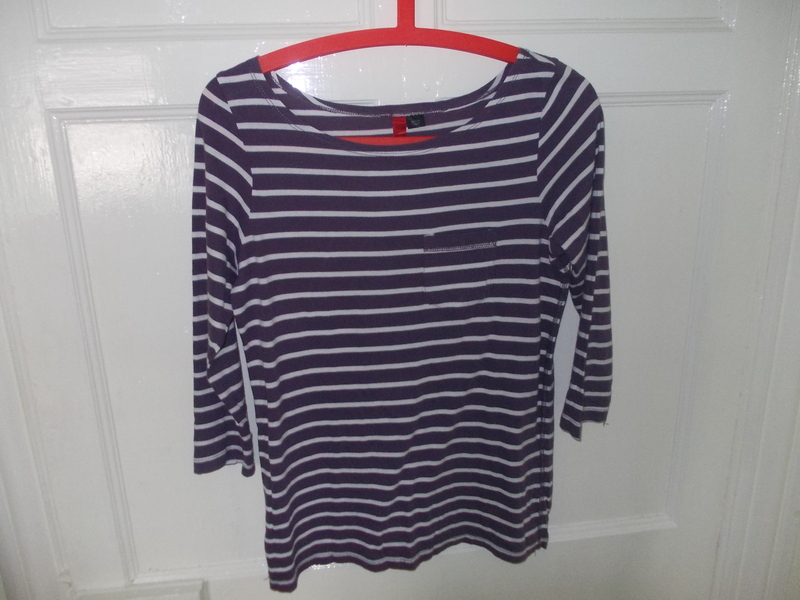 I also bought a very nice purple stripy top, originally from H&M, a yellow floral Dorothy Perkins skirt that I’ve been wanting for ages and a Peter Pan collared polka dot dress. 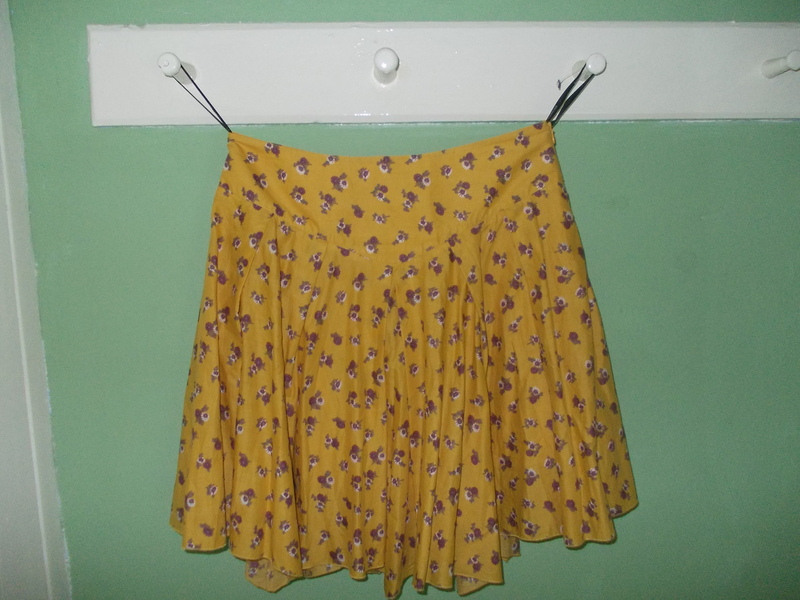 Unfortunately, as is often the case when buying things from charity shops, the skirt is too big. But you have to take the bad with the good and I’ll probably just sell it on eBay or use the fabric to make something small.